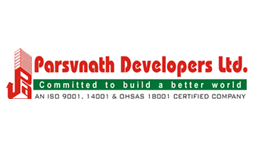 Parsvnath Developers Ltd crashed 11.54% to Rs 5.9 at 14:33 IST.The stock was the biggest loser in the BSE's 'B' group.On the BSE, 63090 shares were traded on the counter so far as against the average daily volumes of 79727 shares in the past one month. Inventure Growth & Securities Ltd tumbled 10.08% to Rs 12.75. The stock was the second biggest loser in 'B' group.On the BSE, 150 shares were traded on the counter so far as against the average daily volumes of 59290 shares in the past one month. Adlabs Entertainment Ltd lost 9.98% to Rs 9.11. The stock was the third biggest loser in 'B' group.On the BSE, 4.04 lakh shares were traded on the counter so far as against the average daily volumes of 4.08 lakh shares in the past one month. Zenith Exports Ltd plummeted 9.86% to Rs 48. The stock was the fourth biggest loser in 'B' group.On the BSE, 8 shares were traded on the counter so far as against the average daily volumes of 47 shares in the past one month. Prakash Steelage Ltd pared 9.68% to Rs 0.28. The stock was the fifth biggest loser in 'B' group.On the BSE, 42500 shares were traded on the counter so far as against the average daily volumes of 7807 shares in the past one month.